A cellphone is awesome when it’s loaded up with the apps that allow you to listen to music, never get lost, and meet other single people in your area with the swipe of a finger. If a snowboard is loaded up with the right features, it can be almost as fun as staring at your palm until your neck hurts. The Compact is our best-selling women’s snowboard thanks to its soft flex and all-mountain versatility, but also because it’s packed with tech that makes it accessible to all ability levels. The Directional Rocker profile gives you rocker in the nose and tail for a catch-free ride, easy progression in the park and effortless float in deep snow. The board profile flattens out under foot for consistent tracking and, combined with our urethane Slimewalls®, guarantees the Compact will be a solid ride at speed. The Compact is a soft-flexing directional all-mountain snowboard that allows riders of all ability levels to have fun on mountain. The industry standard extruded 1500 Ptex base material. Good wax absorbtion and easy to repair. Tip-to-tail Aspen wood core with proven durability that retains pop and flex. Triaxial on top, biaxial on base, balanced torsion and stiffness for better response with speed. Roll In Construction Unique 3D structure built around our urethane Slimewall® sidewalls. Designed to increase overall board strength, prevent topsheet chipping, and reduce weight. 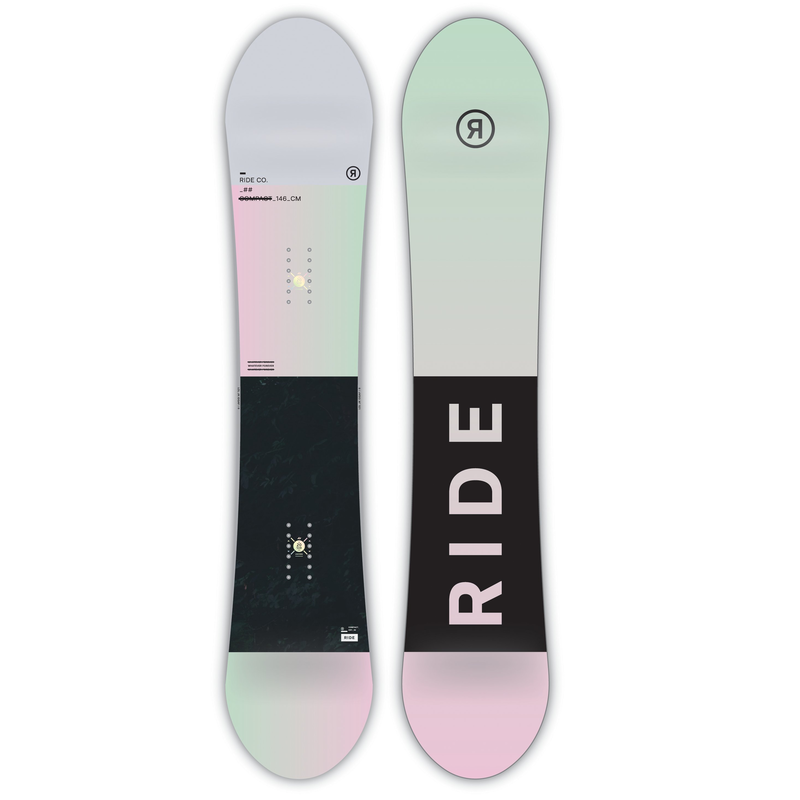 Durable topsheet with graphics only RIDE can bring you.